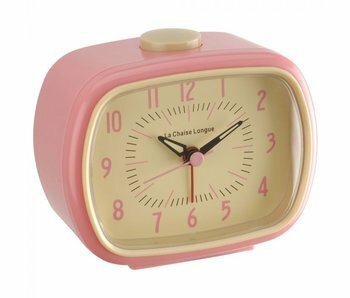 Retro wall clock from Kitsch Kitchen, available in two cheerful colours: green or yellow. Pouffe container in the shape of a retro suitcase on legs. Perfect for an extra seat or footrest . In the inner compartment you can store all kinds of objects, such as books, remote controls and even cushions or small blankets. DIFFERENT COLORS! Cute money box in ceramic that seems to have flown over from grandmother's time. Nostalgic, decorative and educational. With rubber cap at the bottom. Vintage land map on canvas featuring the different departments in France. Based on old maps from the 20th century, This land map is an eye-catching decoration on every wall. Creates a unique urban retro-vintage atmosphere at home or in the office. Vintage city map on canvas featuring the famous dutch city of Amsterdam. Based on old maps from the 20th century, This city map is an eye-catching decoration on every wall. Creates a unique urban retro-vintage atmosphere at home or in the office. Vintage school poster on canvas, originally from the 20th century. These school and decorative posters of animals and plants were intended to learn through observation. Vintage school poster on canvas, originally from the XXth century. These school and decorative posters of animals and plants were intended to learn through observation. Vintage cotton map, showing the current political map of the world in vintage look. An original decoration for your favourite corner of the house. Including wooden sticks and hanging rope. Vintage cotton map showing the main rivers and mountain ranges in 2 hemispheres. An original decoration for your favourite corner of the house, all in vintage style. Including wooden sticks and hanging rope. Vintage cotton map, focused on the ocean currents. An original decoration for your favourite corner of the house, all in vintage style. Including wooden sticks and hanging rope.